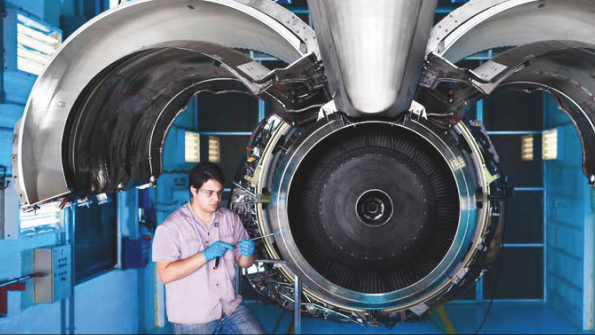 Designed a new website that helped GE Aviation reduces the process from ~6 weeks to a few days to produce the engine status report for profit margin estimation. 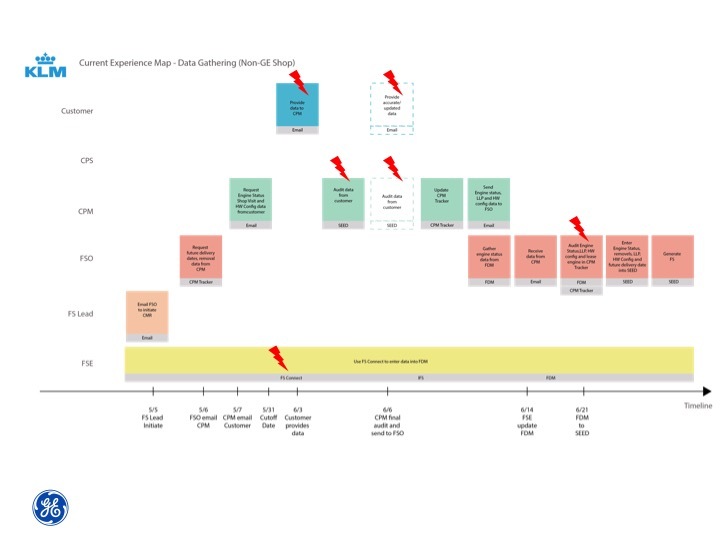 UX played a key role to create an experience map that identified the bottlenecks in the business processes, which enabled the business to better understand the issues and determine MVPs. There were no standard way or an existing tool for producing the report. Currently, the data was ingested in different formats, users have to manually standardize and upload the data to multiple databases. This delays the whole process. Users use Excel files, stored on their local devices, to track engine life cycle data. They do not share the file with coworkers and the data was not synchronized/updated once it has been audited. The process often gets delayed due to the reasons above. Before any design work, we interviewed three different roles of users who will be involved in the process of generating engine status reports. Then I created user flow, persona and journey map to make sure we have share understandings with our clients. We ran multiple two-week design sprints to uncover goals and opportunities, generated possible solutions, created prototypes and tested those solutions with end users. In addition, I coached our clients to perform a formal user testing. The domain knowledge and organization structure of GE Aviation were difficult to acquire. 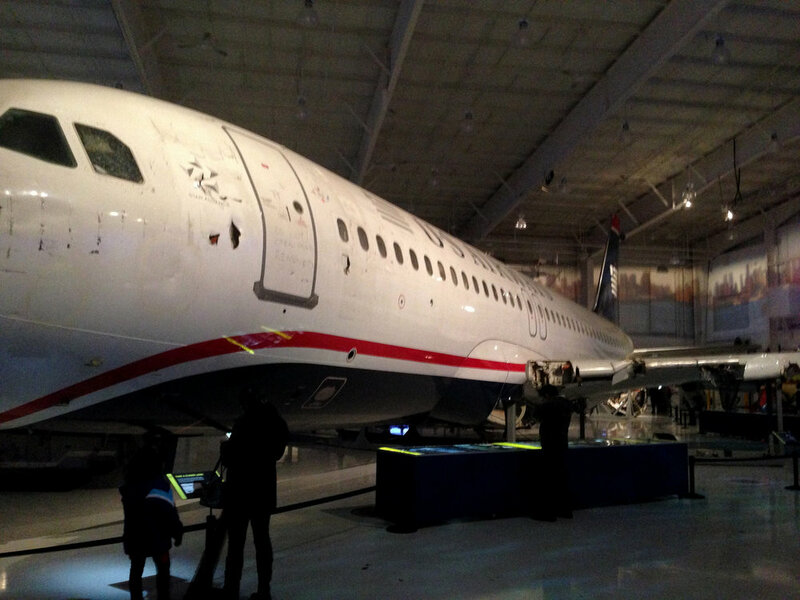 Before the project started, we immersed ourselves in learning the aviation business. Sharer - this group of people preferred to send their data files to their colleagues so that they can edit the files back and forth. In most cases the data that they had to manage were simple but with tight deadline. Owner - this group of people normally preferred to keep ownership of their files, and like to constantly communicate with their colleagues to get the data up to date. Hence they can sometimes be overloaded by the amount of information received. By creating personas and user flow, I was able to verify my understanding of the user workflows with the clients, and co-created several design ideas, such as automatic data cleanup, real-time users collaboration for document editing, version control, and user notifications. Based on the ideas I created some wireframes with the clients, and utilized the QOC design rationale to support the reasoning behind design decisions. On each milestone drop, I created Axure or HTML prototypes and conducted on-site usability testing with end users and clients. I coached our clients to prepare usability testing artifacts and to perform a formal usability testing. The product was released in January 2015, and been consumed by 30 users monitoring more than 25 airlines in daily basis. It has helped eliminating the manual process of auditing and standardizing data and proactively controls and monitors the quality of the data.